Toshiba's slim and lightweight tablet joins the Android Honeycomb battle and looks to face off against the iPad 2; could hit the market in time for Christmas. 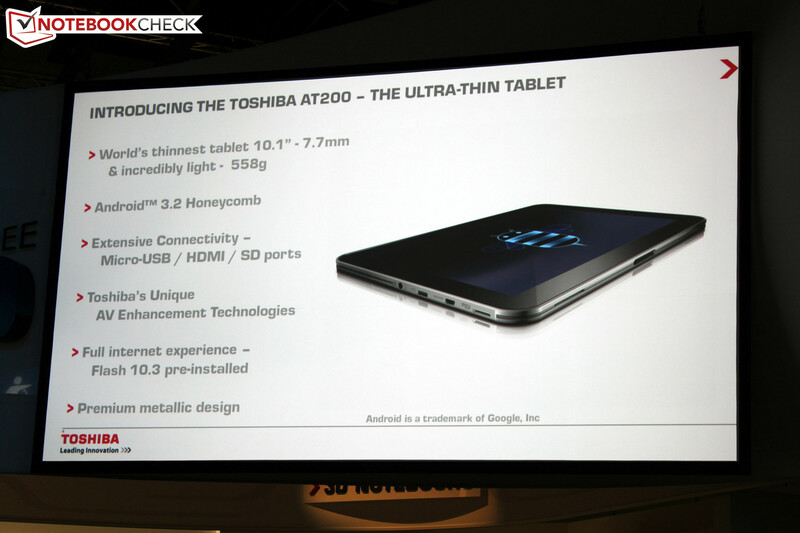 On the occasion of IFA's press conference, Toshiba has taken the honeybee out of the bag and announced their latest Honeycomb tablet. It might not be the rumored Toshiba Excite, but the new AT200 tablet does excite thanks its ultra-flat design and continuous profile of only 7.7 millimeters, making it the thinnest tablet on the market (in comparison the iPad 2 measures in at 8.8mm thick). In addition, the 10.1" display comes with a resolution of 1280x800 pixels, and the slim design is further augmented thanks to a weight of just 585 grams, which is on par with some of the smaller 7" tablets. As for the processor- the AT200 features an OMAP 4430 dual-core CPU from Texas Instruments, with a clock core of 1.2GHz. 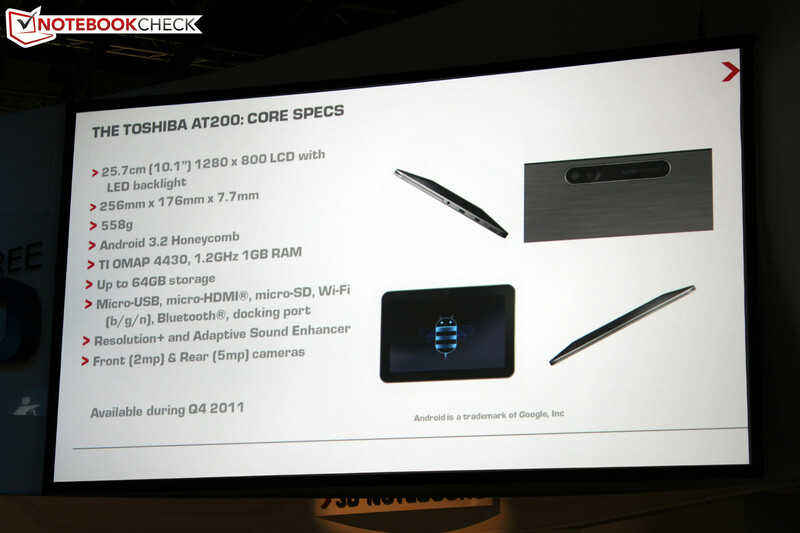 Toshiba's original Thrive tablet was popular due to its wide range of ports, and the company has fit what it can into the AT200, including micro-USB, micro-SD, and micro-HDMI ports. 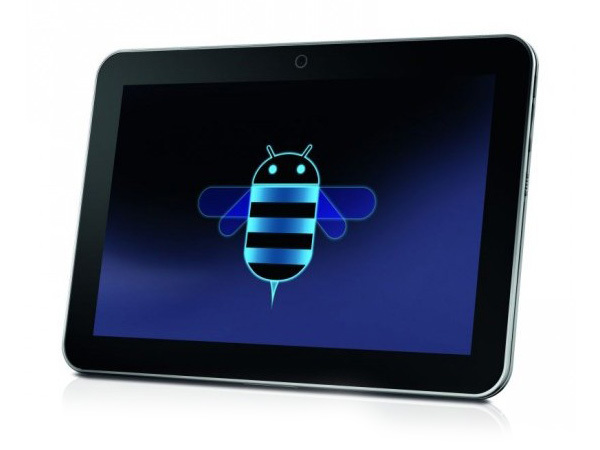 The device runs Android Honeycomb 3.2, and should be available in time for Christmas sales(Q4 2011). No price for the tablet has yet been announced.